Learn how to setup and use the open-source machine learning software, TensorFlow, on Raspberry Pi. 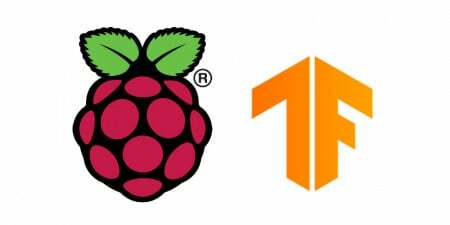 In this article, you are going to learn about how to install TensorFlow on Raspberry Pi. Originally developed by the Google Brain team to conduct machine learning and deep neural networks research, TensorFlow is general enough to be applicable in a wide variety of other domains. TensorFlow is an open-source machine learning software library for numerical computation using data flow graphs. The graph nodes represent mathematical operations, while the graph edges represent the multi-dimensional data arrays (tensors) that flow between them. This flexible architecture gives you the ability to deploy computation to one or more CPUs or GPUs in a desktop, server, or mobile device without rewriting code. Installing TensorFlow on Raspberry Pi used to be a frustrating task. However, with the newer versions of Google TensorFlow officially supported on Raspberry Pi, you just need a couple of commands to get it installed. First, make sure that your Raspberry Pi is up to date by typing the following commands. These commands update the installed packages on your Raspberry Pi to the latest versions. It might raise an error if you are using a Python version greater than 3.4. Just ignore this error — everything will work fine. 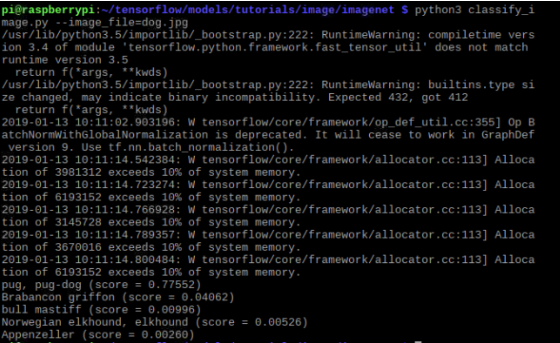 Let’s write a simple code provided by Google for testing TensorFlow that will print hello world. You should see “Hello, TensorFlow” printed. If you are running Python 3.5, you will get several runtime warnings. The official TensorFlow tutorials acknowledge that this happens, and recommend you ignore it. 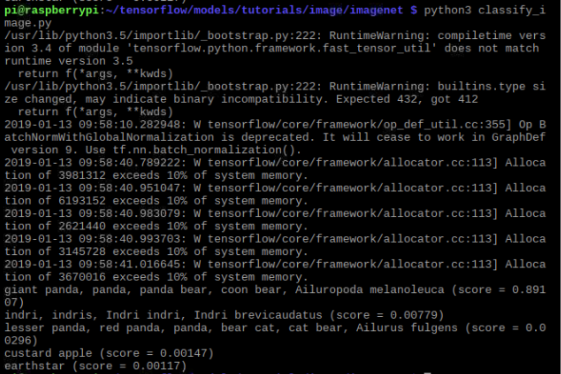 First, create a new directory which saves the TensorFlow models. Now, clone the TensorFlow models repository in this new directory. Now run the script. It will feed the standard image of “panda” to the neural network which in return guesses what this image contains with a score. Let’s give our own image to the neural network and see whether it can identify objects in the image or not. I placed an image of a dog into the same folder we are already working in. Now I’ll run the script to see what it comes up with as a guess. 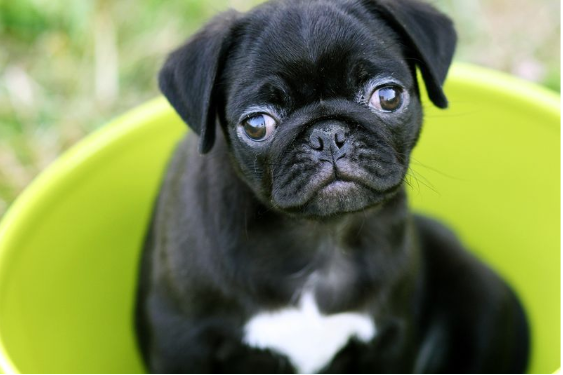 As you can see, it recognized that the highest probability of this image was that of a pug.